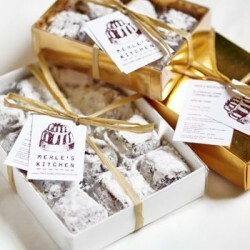 Merle Moustafa is an artisan producer of Turkish Delight and other Mediterranean specialities. 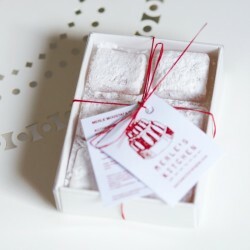 From historic Lewes in East Sussex, she makes all her products by hand using the best local and seasonal ingredients. 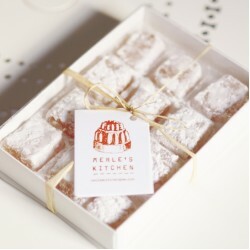 All Merle’s recipes are based on her Turkish Cypriot fathers, using traditional flavours and local herbs and flowers to bring a touch of the English countryside to to her authentic sweets. 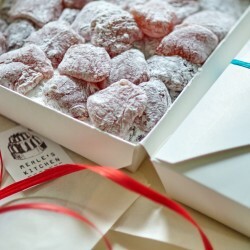 Her handmade Turkish Delight has a softer texture than commercial alternatives, because it’s made freshly to order with all natural ingredients and absolutely no preservatives. Gluten free, vegan and absolutely delicious - this is one taste of the Med you’ll keep coming back to.